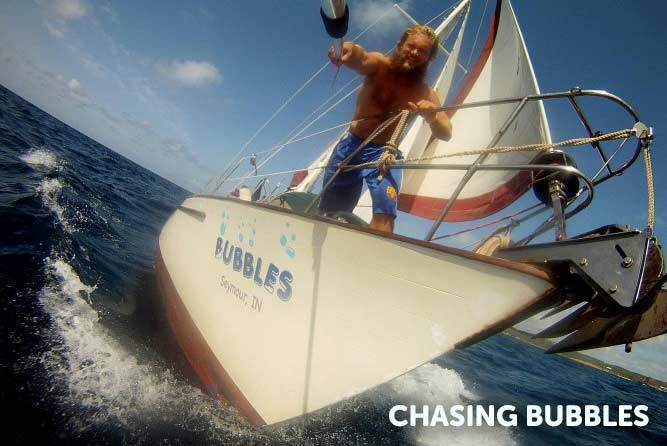 Join us at 6 p.m. for a free screening of the film Chasing Bubbles, which tells the story of Alex Rust, a farm boy turned day trader from Indiana who, at 25, abandoned his yuppie life in Chicago, bought a modest sailboat and set out to sail around the world. This film, the second in the three-part IMFF Off Season series, is offered for free thanks to a grant from the Maine Arts Expansion Grant of the Maine Community Foundation. Donations are gratefully accepted to support the International Maritime Film Festival.